A robust comb is an essential part of your dog grooming arsenal. Without one all your hard work will go completely unnoticed. But, just like any other part of your toolkit, there's no such thing as a one-size-fits-all product. Wahl are known in the industry for manufacturing top of the line professional dog grooming tools. Many of their goods are even used by veterinarians. 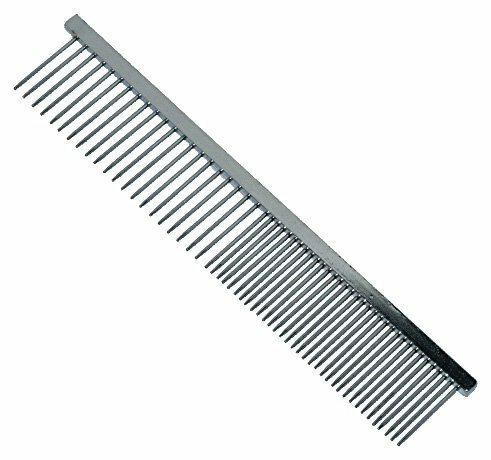 Their metal pet comb is suitable for both coarse and fine hair due to it's duel purpose design. This makes it incredibly handy if you have more than one dog to keep in check. Two separate sides for both coarse and fine fur. Suitable for cats, dogs and other animals. Strong teeth that will withstand vigorous combing. 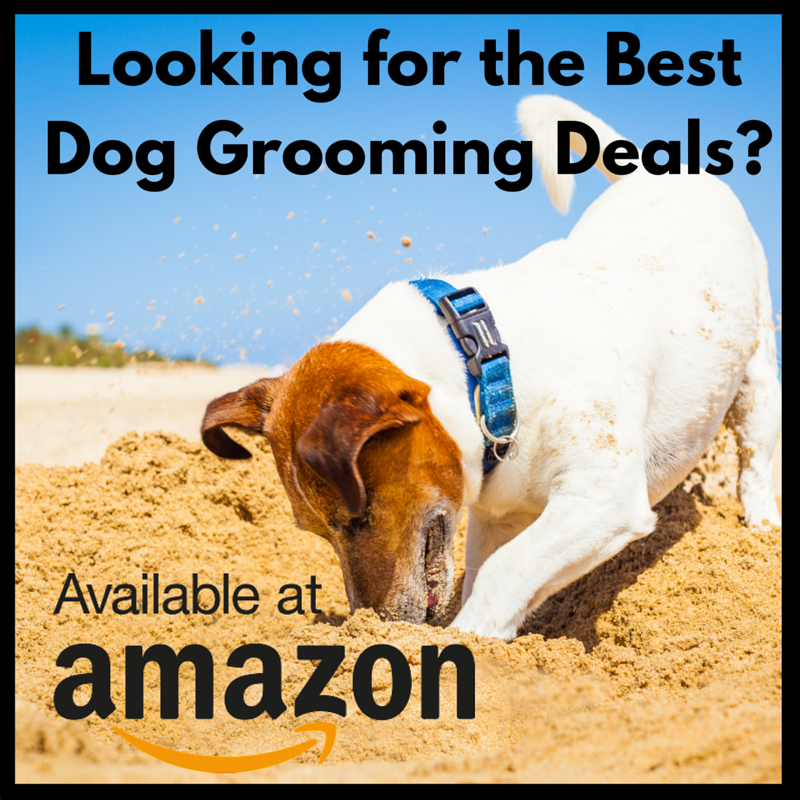 Recommended by professional dog groomers. The narrow teeth will remove tangles from fine coats, while the wide teeth will remove tangles for coarse (or curly) coats. This is extremely beneficial for me asI own a Husky with two layers of fur, and a Jack Russell with extremely curly fur. The comb really gets underneath, catching all of the loose hairs in the undercoat. When I've used other combs I've found the teeth to have harsh spikes that cause pain and discomfort if used incorrectly. The Wahl Metal Pet Comb doesn't have this problem as all of the teeth are rounded at the points. At 21cm it's quite long, making it perfect for my Husky and the other larger dogs I often groom. 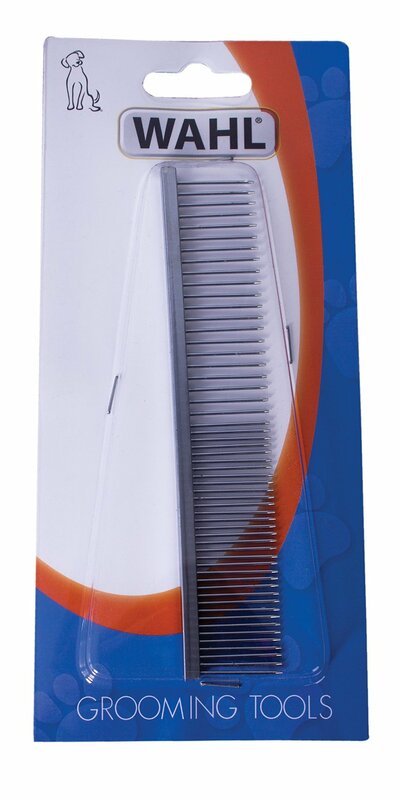 I haven't had any problems with this comb; however, some of the negative reviews on Amazon report that the teeth are too sharp (this hasn't been a problem with mine). Others report that the packaging doesn't make the grade and that the comb itself is too heavy for grooming smaller dogs.